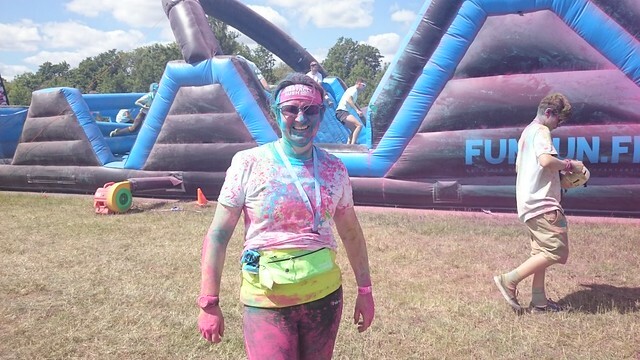 On Sunday, I went and ran my first Colour Run, at Dorney, which was complicated by various blowup obstacles. I’ve never done one of these runs..they definitely seem to be targeted at the younger set, with lots of groups of teens having a lot of fun rolling round in powder. 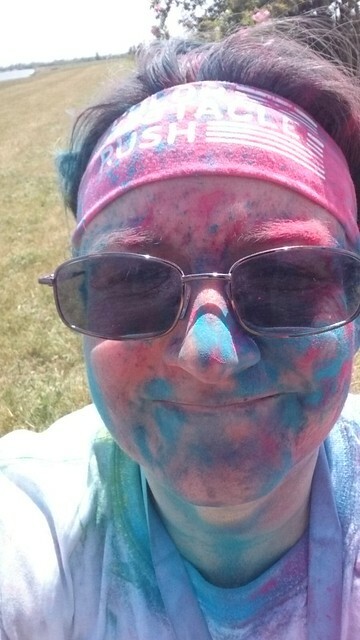 I went as part of a team and we had a fun run, dodging the colour and tackling the obstacles whilst keeping a steady run all round. Had a work event on Tuesday, a few drinks to celebrate the finish of the AAR Fitness Challenge. This was 10 weeks where groups of 4 all wore pedometers and attempted to get the most steps. As a team, we did not do brilliantly, but we had a lot of fun trying. Thursday was another night out, where the founder of Tsu, Sebastian Sobczak hosted a few London tech bloggers. It was a good night and learnt a lot about this interesting social network where you get rearded for sharing content. It’s a platform that is growing steadily and getting traction. Managed to get through 3 books this week; the 2 sequels to the Connolly book from last week and Dark Eden by Chris Beckett, as fascinating look at a society on a planet, descended from a crashed ship, where the energy is thermal rather than light. Love this site from National Library of Scotland – old maps aligned to new google maps. You can just keep moving around and seeing how things changed over the last 100+ years. Just the 2 runs this week, seems to be about my average at the moment, really need to get back on it. So the Colour Run at Dorney and a quick river loop. So only about 6 miles in total.